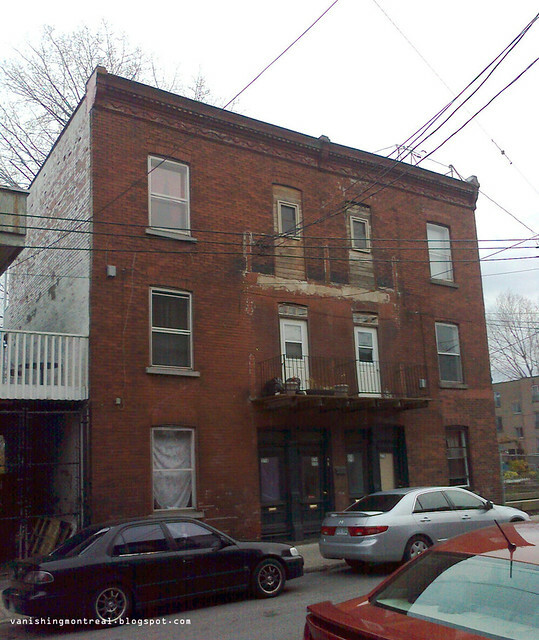 The triplex on the corner of Ste-Emilie and Turgeon, next to the depanneur, has also been demolished. As you can see in the photos in the Depanneur post below, the triplex was still standing when they demolished the corner store and its adjoining building. A recent quick visit in the neighborhood showed the triplex, which was in bad state for many years, is now also gone. In the photo of the depanneur I took in 2008 you can see that the triplex was missing a porch even back then. The photo above was taken in November 2011.